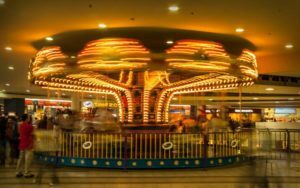 You’ll have a hard time finding someone who has taken a ride on a carousel, or Merry-Go-Round, and didn’t enjoy it. 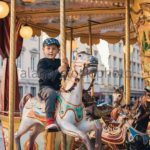 Albeit, most of us were probably kids the last time we rode on a carousel, it’s still a fun memory and one we are eager to share with the next generation. The Merry-Go-Round is no less popular today than it was a decade ago. 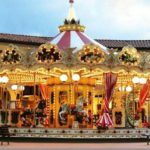 You’ll still find a carousel at just about every carnival, park, or festival that you visit. If you can find the right supplier, they are affordable, easy to install, and easy to remove when the time comes. 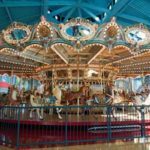 All of these things, along with reliability and safety, come together to create a quality carousel. 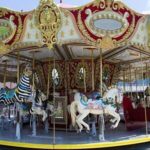 Finding a quality carousel isn’t as difficult if you know where to look. The first-timer may have a hard time if they haven’t done their research and made the important decisions prior to actually shopping. For example, you need to consider whether you want to purchase a used or a new carousel. 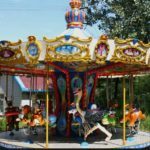 A used carousel is always going to be the more affordable option, but it’s also riskier. You don’t know exactly where the Merry-Go-Round has been through before reaching your park. How safe can it be? 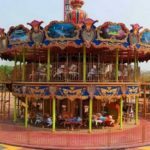 If you buy a used Merry-Go-Round, then it’s extremely important to find an honest and reliable supplier. It’s also important to have the carousel inspected by a trained professional prior to making the purchase. There’s also the question of size to factor into the decision. 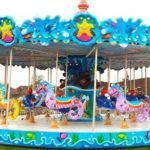 Size ranges from the extremely small kiddie carousels, to the more average carousel Merry-Go-Rounds, up to the largest double-decker carousels, which have two floors of Merry-Go-Round excitement. 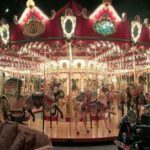 Once you’ve made all of these important decisions it’s time to begin your search for a quality carousel. The internet is a great place to start. Have you preferences, such as size, budget, and whether it’s new or not on a piece of nearby paper. From there, it’s a matter of finding the suppliers and seeing what they have to offer.